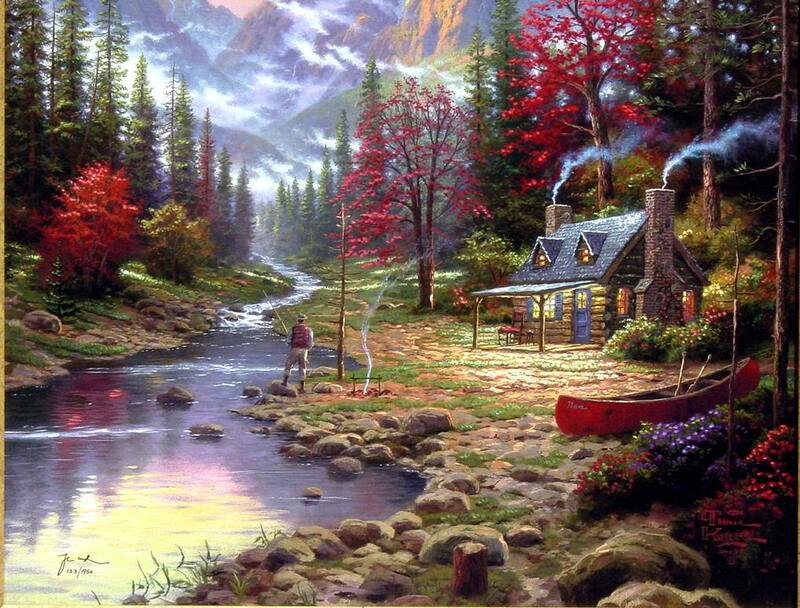 The Good Life is the third and final painting in Thomas Kinkade's very popular Beginning of a Perfe t Evening series. 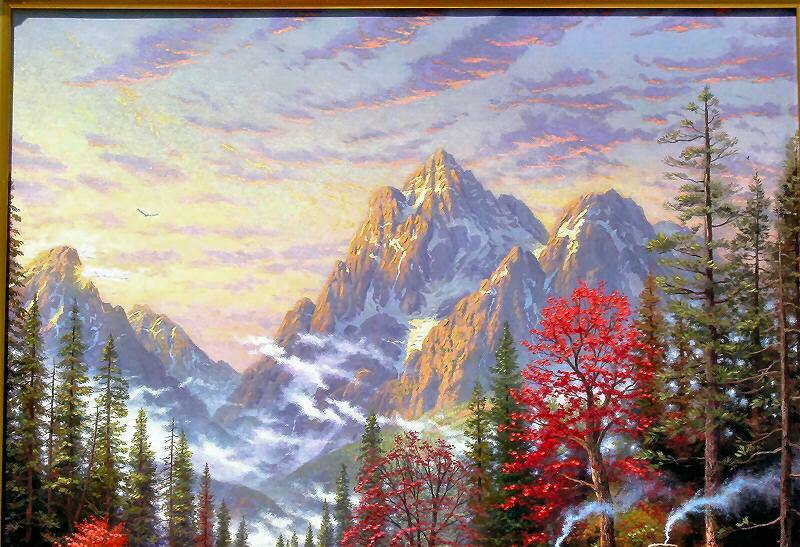 The other two paintings in the collection are Evening Majesty and A Peaceful Retreat. The Good Life features 17 hidden N's in tribute to his wife, Nanette. I believe that each of us carries an image of the good life in a private place very near to our hearts. Because I am a painter, I visualize The Good Life in terms of a scene that embodies the virtues and values that are most precious to me. In The Good Life, third and final piece in my Beginning of a Perfect Evening collection, I have in effect set up my easel in that imagined space where God's bounty is manifest. It is an autumn evening: that season and time when God seems to live in the radiant sky and charge his world with special grandeur. I identify with the fisherman, perhaps because Christ described His followers as fishers of men, and certainly because the fisherman lives in a profound harmony with nature and receives its gifts with humble gratitude. Mountain streams such as this are abundant with fat brook trout; the smoke of a cook fire rises in the still mountain air. 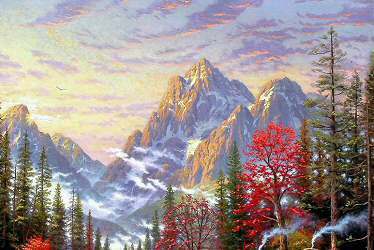 Towering peaks embrace the valley, and light spills from the log cabin which seems ablaze with life. 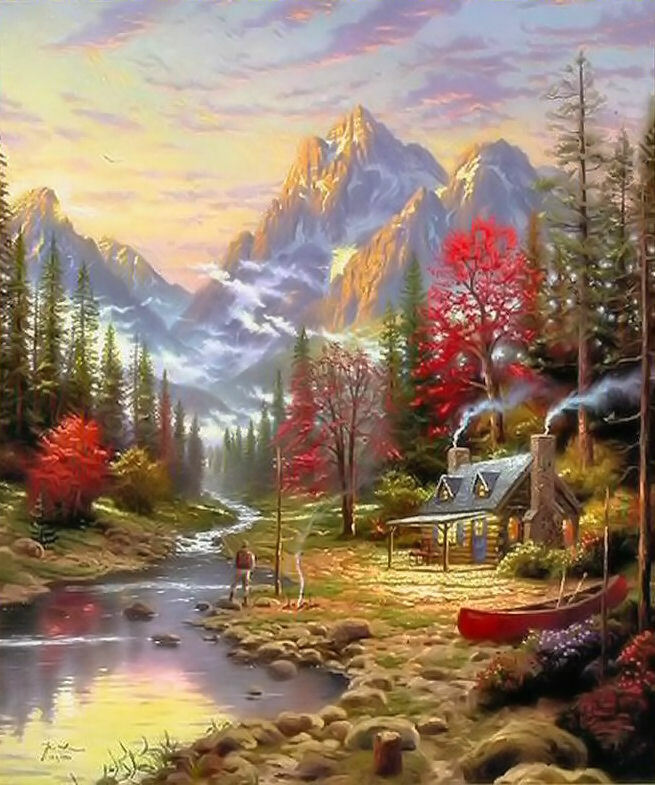 I imagine that my wife and daughters are safely tucked away in that cottage, enjoying the pleasures of a comfortable domesticity, as they await my triumphant return with the evening catch. Alone with my family, safe, peacefully savoring the glories of God's majestic creation - that is my image of The Good Life. I invite you to enjoy it with me." *Plus $50.00 for very secure packaging materials and shipping within the lower 48 States.